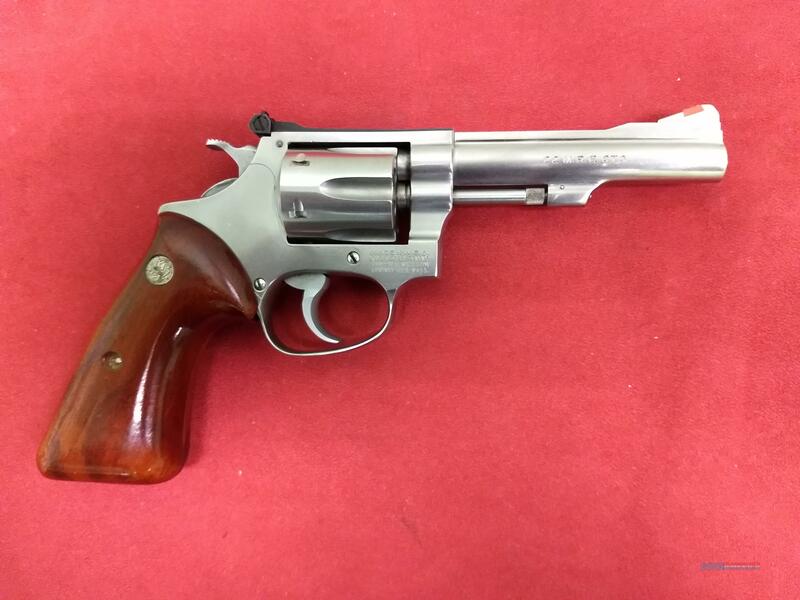 S&W Model 651, .22 MRF (WMR), Rare! Great Shape! Description: This is a rare Smith & Wesson model 651 revolver chambered in .22 Rimfire Magnum (WMR). It is all stainless steel and has six chambers with no evidence of corrosion. The barrel is 4" long with a clean and shiny bore. The rear sight is fully adjustable, and the front is a fixed blade with a red ramp insert in typical S&W style. The lockwork on this revolver is in perfect working order. Whether you are a collector looking for something to complete your collection, or you are a shooter looking for a low maintenance sweet little utility gun, this revolver is an excellent choice! Comes with the factory box and papers.